"Social media presents new opportunities for customer engagement and lead generation. But to get it right requires a whole bunch of new skills that are both creative and process oriented. 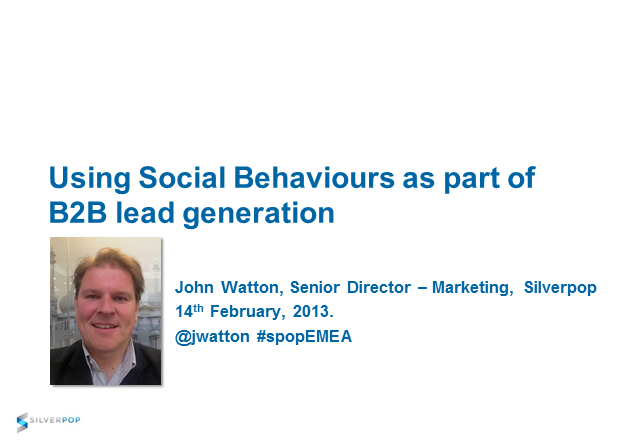 Find out how a behavioural marketing approach to lead generation will net amazing results, and how social media can be a key tool in a multi-channel lead generation strategy."